I think I was 10 years old at the time Nothing Really Matters by Madonna was a huge hit. I was a crazy Spice Girls fan but when I saw the oriental- black haired Madonna |(black haired madonna is the best) in the Nippondroid themed video , I was so sure that Madonna is my star. Remember how she awkwardly danced while waving her thick kimono flapped sleeves that subtly exposed her cleavage in every move? Come spring/summer of 2013 and that very image of the Madonna-kimono-cleavage video flashed in my mind when I saw Ann Demulemeester's warlocks. 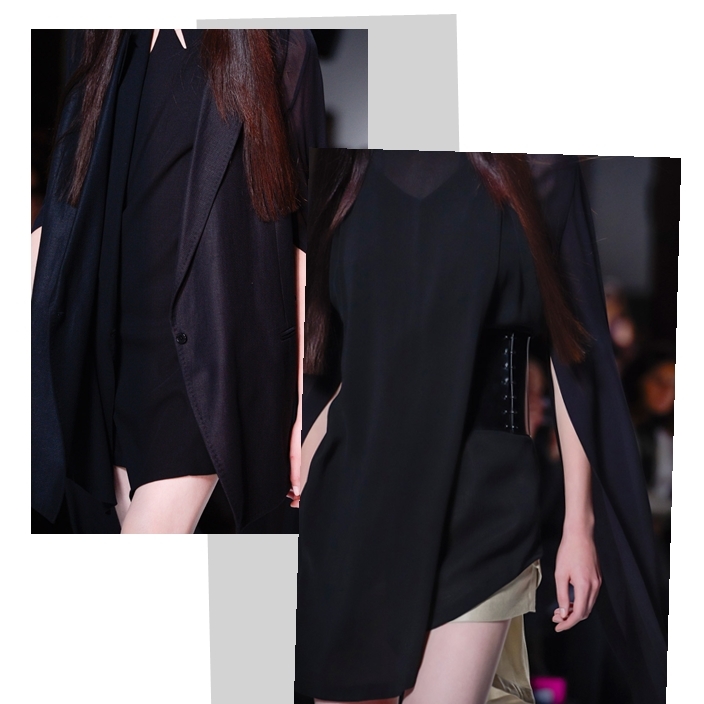 This time, the exaggerated floor-length trails originate from the sleeves. 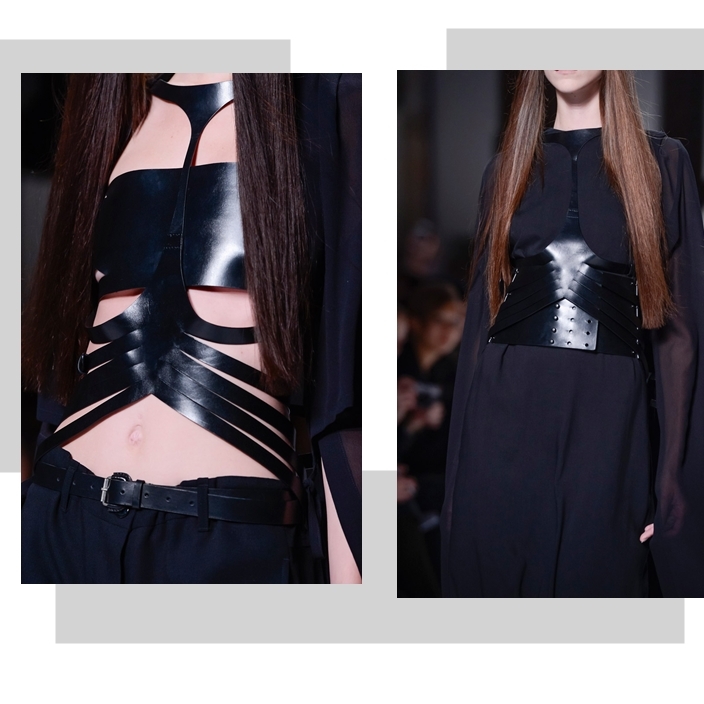 Owing references again to the iconic kimono while injecting her Euro-goth sensibilities. Her trademark obis were replaced , now thicker and longer, as if it could pass up as an upper covering. The abrupt slices on the clothes complimented the center-part hair do as well. And the shoes! 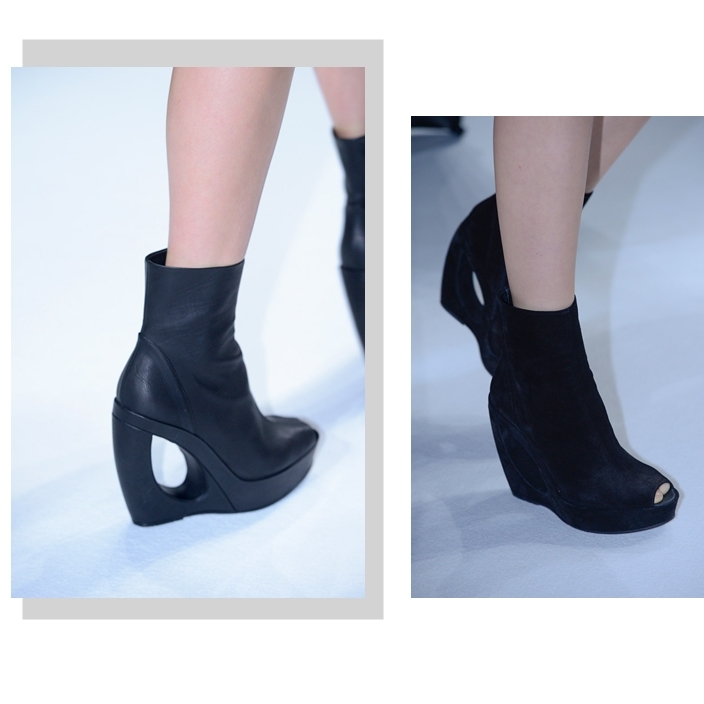 Ann Demeulemeester knows what shoes to complete the look. the patent all-black kimono! how could the designer predicted that it will become a hit once more in the 2000s?